Ah, the Dodge Demon. It’s all the angst of internet memedom distilled and tamped down into an 840-horsepower Challenger. A street-legal superlative. Only two questions remain: Who’s buying it and what’s it for? Mr. Regular might have the answer. When the Dodge Demon was first announced, I thought I had read the press release wrong. Eight hundred and forty horsepower—on a car that anyone with the cash could buy? What? Why? Of course, the simply answer to that is simply why not? But as to who is actually buying it and what it’s for, the discussion becomes a little more nuanced. 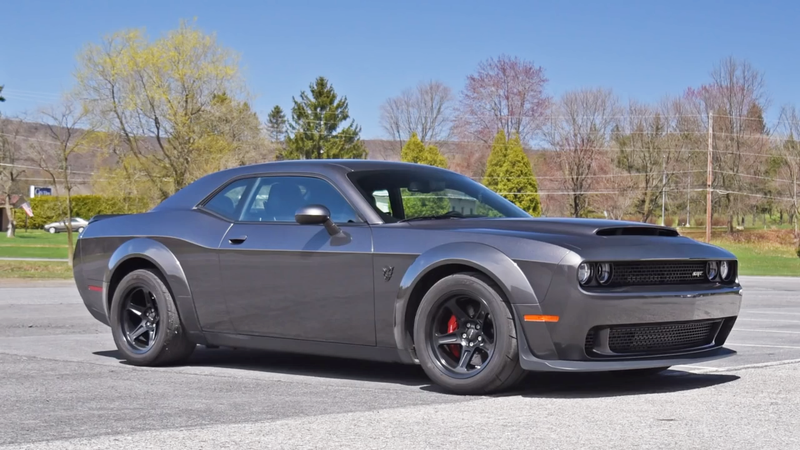 The people buying the Demon, according to this new Regular Car Reviews video, are rich uncles who like “muscle cars” and “hate Teslas because they’re not real cars.” I’m going to elaborate a bit here, but I’m fairly certain they are people who really enjoy telling other people they have 840 horsepower and a Hemi. As for what it’s for—well, the Demon is by far one of the most impressive internal combustion engines available to the public to date. With everything downsizing and going hybrid, it’s very unusual to see a manufacturer trot out a supercharged V8 in 2018. But FCA is doing it, and that’s significant. Mr. Regular seems to think that FCA will get “absorbed into bored collectiveness.” Of course, FCA always seemed like it was about to get absorbed by someone. It’s sort of like how these high-horsepower cars always seem to be “end of an era,” be they V12 Aston Martins or V8 Pontiacs still hanging around after the first Oil Crisis. But! If FCA does go away one day, we will remember the Dodge Demon. The Demon, then, is that last hurrah, the finale, the bang that closes out this chapter of automotive history. When that end will be is anyone’s guess, but I can certainly see the Demon becoming one of those fondly looked-back-upon characters in the history books. It’s just silly enough to last.